I developed an excel template that calculates dependent or paired t test. 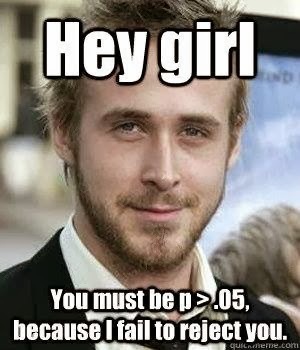 It also writes summary report which is based on p-value. This spreadsheet can handle up to 10,000 cases. The dependent t-test compares the means of two related groups to detect whether there are any statistically significant differences between these means. It is also called the paired t-test or paired-samples t-test. In dependent t-test, same subjects need to be present in both the groups whereas it is not necessary to include the same subject in both the groups in independent t-test. For example, 10 students' programming skills are measured in a test before and after they underwent a new form of computerized teaching method to improve their programming skill. You would like to know if the computer training improved their programming skill. Here, we can use a dependent t-test because we have two related groups. The first related group is performance prior to the training and the second related group is performance post training. 1. A program is conducted to check life satisfaction among students. 30 students participated in the program where life satisfaction is measured by an index score at pretest and post test phases. 2. A sports psychologist was interested in testing the effect of a simple relaxation technique on college basketball players’ free throw shooting accuracy. Each player was asked to shoot 20 consecutive free throws and the number of successful attempts was recorded. The players were then trained to use a simple 5 second relaxation technique while preparing to shoot a free throw. The players then returned to the court and shot 20 consecutive free throws again. The two groups are dependent or paired in some way. 1 Response to "Calculating Dependent Sample T Test : Excel Template "